Sometimes the most simple recipes are the best ones. This is no exception. 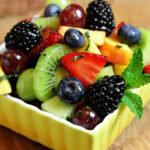 This simple fruit salad can be made with 10 to 12 cups of any of your favorite fruit. It’s a great breakfast and snack and pairs well as a side with any meal also. The sweet but tart dressing is the perfect complement with any fruit. In a large plastic or glass bowl, combine the fruit. Refrigerate. In a small bowl whisk the lime juice, honey, and mint together. 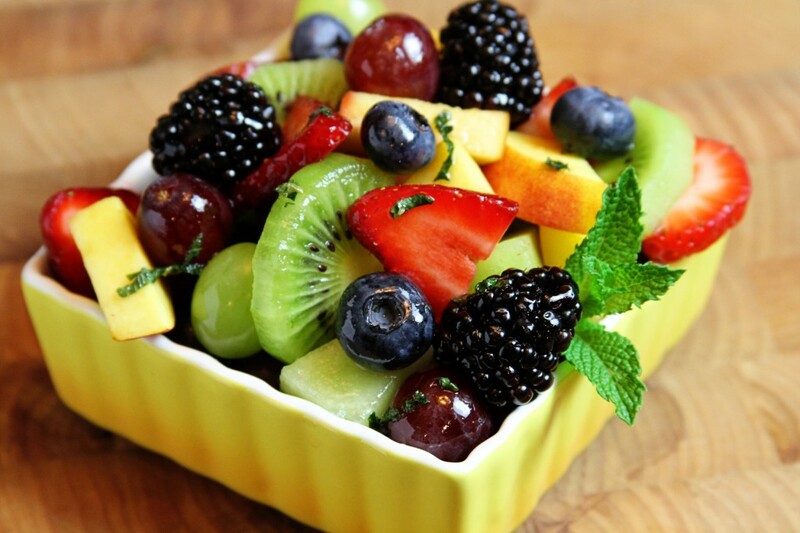 Drizzle over fruit and toss lightly when ready to serve. Keep chilled. Thanks, Nicole! Come back often! I believe this must be a “Southern thang”. My mother wouldn’t think of sitting down to a special meal without having a fruit salad. I did a post about our “Simple Fruit Salad” tradition and several readers commented that is was a tradition in their Southern families, too. I made an orange juice and honey dressing very similar to yours. Nicely done! Thanks, Jackie! I do think it is quite Southern to have it with a meal. Thanks for always popping over this way! Wow! Looks and sounds delicious! The recipe says 1/3 honey. Is that 1/3 cup? it on some social networks platforms. I’ve bookmarked this too for future reference as well. Carry on with the great work! Hello! I am an artist and wanted to ask your permission to draw the picture of your fruit bowl. Please contact me. Thank you! Hi , how many people will this serve? It depends on the serving size. It would say 4 to 6 generous portions.